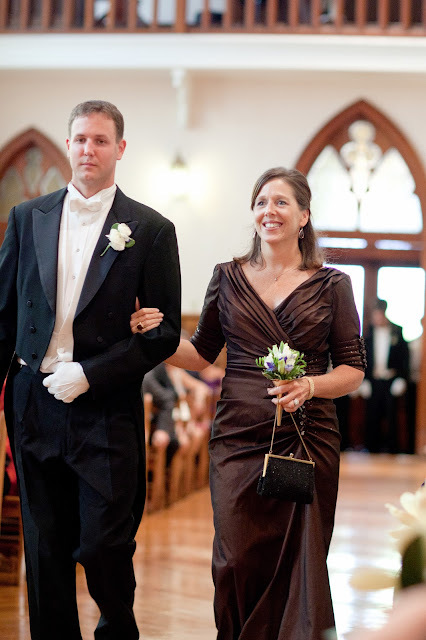 My son in law Kyle, walking me down the isle as mother of the bride two years ago. Two days before I started chemo. Life seems to have me all over the globe. If I am not here doing the track deal for my high schooler or the chemo deal or breast reconstruction, I am off to graduations, University track meets, helping people move, weddings, helping others drive with babies to move home for a stay while her hubby is off fighting a war. That was my tribute letter to him before he left for Afghanistan. Even though its a new month and spring is in the air and time is of the essence for cleaning and planting, I feel as if I am all over the place. You would think accomplishing all that would be hard, but I love it at the same time. A new month, a new calendar view, a pressing onward and a time for looking back. Plans for summer, making ready the arrival of daughter and grand daughter, to the planting of garden delights or making our garage apartment a home away from home. Never a dull moment. Busy decluttering, a never ending task it seems, clawing away the piles of just stuff. Yesterday I actually sold some of it and it felt really good and freeing to send it on. I have been decluttering for two years inside and out. Two YEARS? Goodness gracious that is a lot of stuff. I have two boxes that are nothing but stuff I cleaned off my desk two Christmas' in a row. I just wiped the slate clean and put it in a box to deal with later. I certainly don't want my children to have to deal with it. So I press on. I think I can really live the life I am intended to live when the "stuff" as George Carlin calls it, gets dealt with, disposed of and/or placed where it needs to be placed. When I sold some of my bead business stuff yesterday I as embarrassed the people had to see how much stuff we have accumulated through two parents dying and holding stuff for children who are still not settled into permanent homes. They didn't seem to mind. In fact they started asking about some of the other "stuff". Score! Can't wait to have a garage sale. This purging of "stuff" makes me think of the mothers in Haiti who have nothing sometimes, who can't give or get for their children and how living with and amongst the junk or stuff is an every day thing for them. They collect metal drums, car hoods and other scraps so they can create more stuff. More beautiful stuff. Stuff that I don't necessarily need, but love having around because of the women it reminds me to pray for, to pay attention to, to understand and to look at. The difference also, is their stuff creates hope and a way to help their situation whereas mine not so much. Its just stuff that I can't seem to part with or can't, cause its not all mine. Do I like it, do I want to keep it? Yes and No. Yes because I know it will bless and no cause I am tired of dealing with it. Its a constant shifting around, from one child to the next or one wedding or event to the next. And at the same time I gladly hang on to it for its value, its meaning and its legacy. At some point I know I will want to torch it, but for now I am willing to porch it until further notice. Stuff is beginning to take on a new meaning in my life. My heart is for this world. My heart is for all Moms who found a way to deal with the "stuff" in their lives in a productive way that generates hope. My heart is for us as people to live for God, the One true God, His Son Jesus and His Spirit. To see the times when God speaks to us directly, like a story, and we get to live it. My heart is for the women in Haiti, who are working through projects to clean up the mess, the "stuff", that actually makes money for them. I am proud of the women and the help they've received from different groups now developing and producing business relations. Income from this gift enhances an artisan family's nutrition, educates children, and brings access to healthcare and dignity. "Connecting cultures through business, art and understanding". A partnership with Macy's and FairwindsTrading. 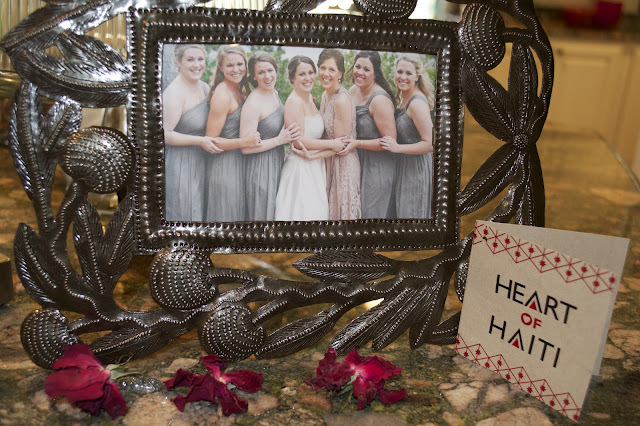 This lovely hammered frame is one of two I have received from Heart of Haiti and the Everywhere Team, to share with you, my readers. Macys.com has a give back attitude and have established trust with Haitians in an American company to actually come through with what they promised. This is the second of two initiatives, that I know of, that Macy's is involved with. The other is called Path to Peace where baskets by the Rwandan women are also available at Macys.com. I accidentally happened on an interview with Christie Crowder and Willa Shalit online talking about this Macy's event with the Rwandan women. I got involved as an ambassador to the Heart of Haiti after I went to a speaking engagement by Rwandan women at a Macy's in a mall in New Orleans. It was really fun. They matched women from Katrina with women in Rwanda. They collaborated together to launch products, but more importantly they launched a working fellowship across continents and this attitude of the gift that gives back. I then went to a GNO party at Stella Jones art gallery downtown NOLA where the women got to meet and talk about the experience of collaboration live stream. It is where I met the Blogrollers and so many others as social media was in its infancy. I felt good as another mom that I was helping other moms somewhere in the world. May is also a great time for weddings. My daughter got married in March, so i decided to put a picture of me and my sweet daughters to remind me of who I am as a mom, mother in law and who I am as a woman. Getting closer to the end of my cancer treatments, I felt really good during the wedding. So this will be a good reminder of how my girls give me strength to stay ahead of the storms praising God every step of the way. Leticia Barr, Nadia Jones and Kelly Tirman are headed to Haiti with Danica and Kelly of Everywhere for our third Bloggers4Haiti tour! This time the trip will focus on training of artisans in technology. We’ll also be visiting a school. The artisans have asked that we bring as many supplies as we can carry so if you have access to any school or art supplies and can get them to us before May 23rd, please contact Kelly@beeverywhere.tv. I participated in this campaign for Heart of Haiti. I received a free picture frame to facilitate my review. By posting, I am eligible for incentives. All opinions stated are my own.